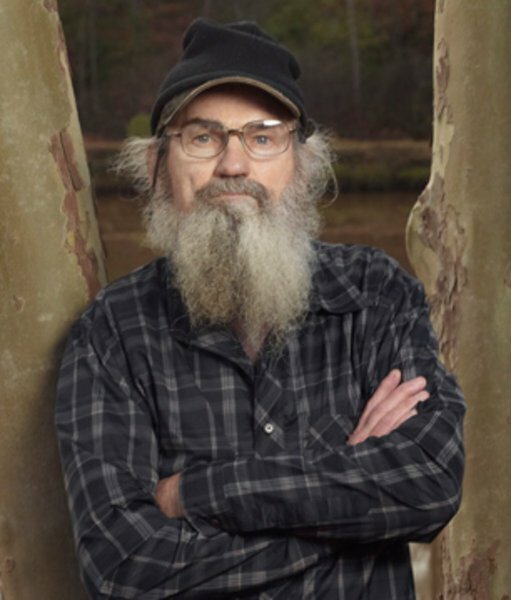 This week’s episode of Duck Dynasty starts with Si Robertson making a strange noise. It turns out Uncle Si is blowing up an inflatable pillow, which is just one of the plethora of items he’s packing up to take with him on his trip to Virginia to see the birth of his grandchild. As Jase Robertson remarks, Uncle Si looks like he’s packing to go to China for a month instead of a short trip a few states over. Si Robertson also apparently will be using the soothing sounds of whale songs for relaxation, and of course he can’t resist mimicking the beautiful creatures’ call in his own way. Soon enough, the whole warehouse is joining in, and that’s of course when Willie appears. Willie Robertson takes it in stride, though, because he knows this is just one example of the thing he might be avoiding while Uncle Si is gone. It’s the classic addition by subtraction method, and Willie Robertson figures Uncle Si’s absence will give him the chance to see just how counterproductive his uncle really is. That said, Willie is in no hurry to crack the whip right away. When Si Robertson is out the door he leisurely pulls up a chair and joins in the warehouse laze, tossing some Rolos he pilfered from Si to a waiting John Godwin. He’s just relaxing a bit before he has to take John Luke and Sadie to the dentist, where they both are getting their wisdom teeth taken out. He’s looking forward to seeing how wacky they act after being put under. Jase Robertson comes in with this week’s crisis, a faulty freezer that has stopped working and let all the meat they’ve put in it from hunting season spoil. Their reactions to seeing the ruined carcasses and smelling the accompanying stench make for pretty good TV, although it can be bad if you’re one of those viewers who empathizes a little too much and can end up smelling it yourself. I’d advise just skipping that part then. The queasy reactions continue at the dentist’s office, where Willie Robertson thinks he’s going to take advantage of Sadie’s wooziness by treating it like truth serum and asking her questions about her love life. But that all changes when he starts seeing all the bloody pieces of gauze and the genteel dentist ripping at his little girl’s mouth like he’s using the back of a hammer to pull out a nail. As for the post-anesthetic wackiness, John Luke wins that contest by a Louisiana mile. The kid comes out of the surgery shaking his head around like Stevie Wonder and mumbling all sorts of nonsense, most of it pretty sassy. He even grabs the dentist’s spray gun and waters the office a little bit. Willie is enjoying his usually quiet son’s new personality, as is Korie, who eagerly records everything for purposes of future social embarrassment. Jase and Jep Robertson are wretching while cleaning out the freezer until their father Phil makes a rare appearance at the warehouse looking for recruits to help him get rid of some cottonmouths on his property. Phil Robertson agrees to haul the rancid pile of meat in exchange for their help. The most convenient dumpster turns out to be the one at their church, but the guys are a little concerned about that No Dumping sign. They end up punting on the idea and trying their luck at a Mexican restaurant, hoping to throw out their nasty payload with whatever the eatery is disposing of that day. They go inside and try to talk to the manager, but end up grabbing some chips and salsa and being serenaded by a mariachi band. Not sure how they could be hungry after being around all that fetid meat, but hey, the stomach wants what it wants. After all that, though, the restaurant refuses to let them dump the meat. So off they go again, and Jase Robertson calls his brother Alan for reinforcement, asking if maybe they could dispose of it in his community’s dumpster. Alan Robertson suggests they go to the church instead. Phil has a laugh, but he stops laughing when he tells the camera that maybe Jase and Jep ought to walk home. Miss Kay is seen at the house making a milkshake and singing.